Everyone likes to grow their hair long, and must look so nourishing too here are few tips to grow a long hair. 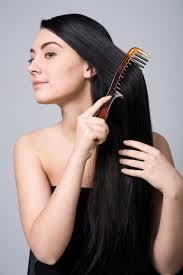 Brush your hair 100 times per day before going to bed, star brushing from hair root to tip of it. Brush it with a good quality brush this will definitely reduce the hair loss tremendously this will even ensure that your hair is broken, because when you start brushing the oil will get evenly spread from hair root to tip of it. Don’t brush your hair when it is wet because, wet hair is weaker than dry hair so please don’t comb your hair when it is wet. And other point to be noted is don’t comb your hair with short bristles of comb it will break your hair. Use a boar bristle brush those are soft and will not break your hair, please take care of your shampoo which your using because many of your shampoo contains toxic substance that may spoil your hair not only that it will even cause skin disease or cancer in scalp.